Few years back, strawberries were hardly seen in India, especially in Chennai, very difficult to get them. But now, I see a lot, not only in the big shops, the local vegetable vendor brings them too and they taste good too. Though we are happy to have them plain, as such, my daughter also likes to have it with some melted chocolate and we also like to have it in this lassi. It's not much of a recipe, just blending together the strawberries with yogurt and sugar.. Blend the strawberries smoothly along with the sugar. To this add the yogurt and blend it well. Chill it and enjoy. Can replace sugar with honey. I didn't add any other flavoring agent, you can add some cardamom if you want. The above quantity is good for 2 servings. Very refreshing drink, just love it very much, have to wait for strawberry season here. Yummy flavored yogurt,my kids favorite flavor!! 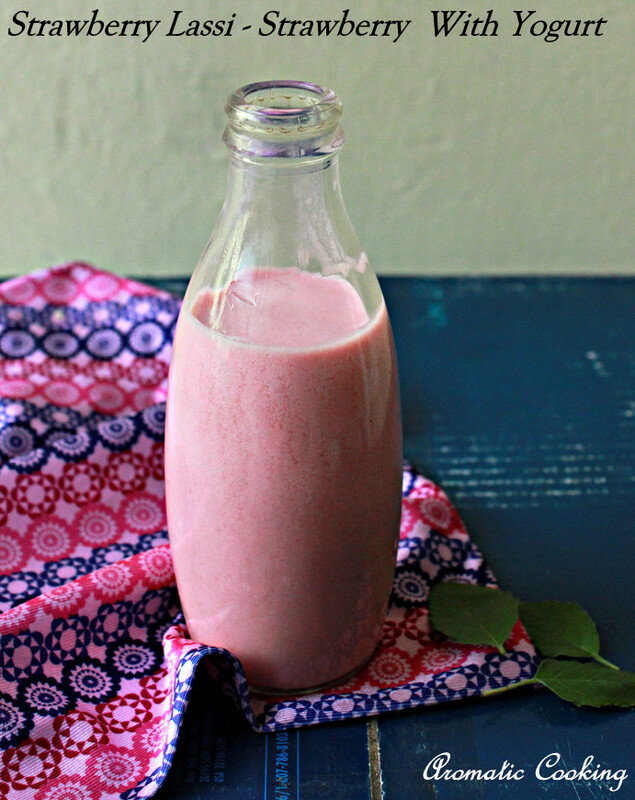 Beautiful lassi love the sweet pink color . 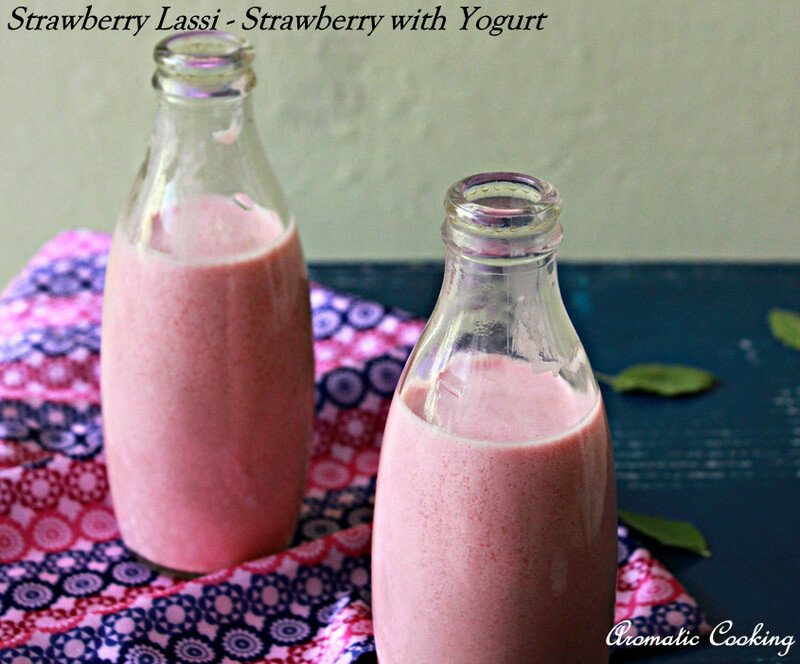 Never tried lassi with strawberry..love the pleasant color! Looks awesome. As summer breaks, all delicious coolers are most welcome. Thanx for one. Lovely color..And love the bottles even more!! it's like homemade kefir with no preservatives! yum!